Hi there! I am sooo excited about this quilt I am sharing today! 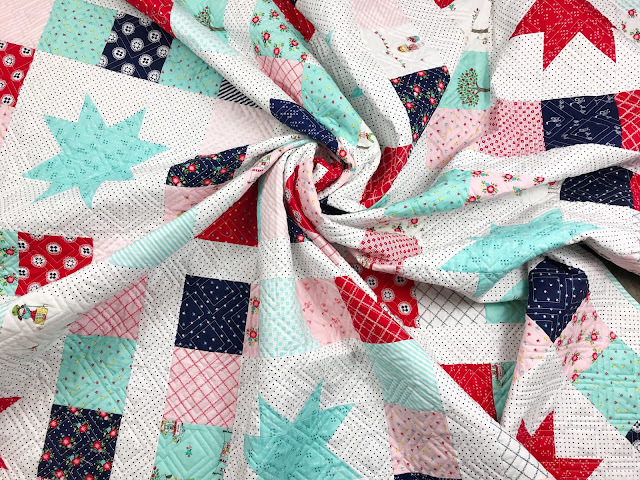 I have been a long time fan of Tasha Noel fabric, and when I saw her newest line, Simple Goodness - I was smitten! It is classic Tasha Noel - it us full of lovely illustrations and tiny prints. I wanted to show off all the lovely fabric in her collection, so I decided to use my Starbound pattern. This is one of my favorite patterns because it is precut friendly! 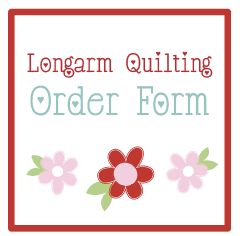 You can use 4 packs of 5" squares or 1- 10" stacker! 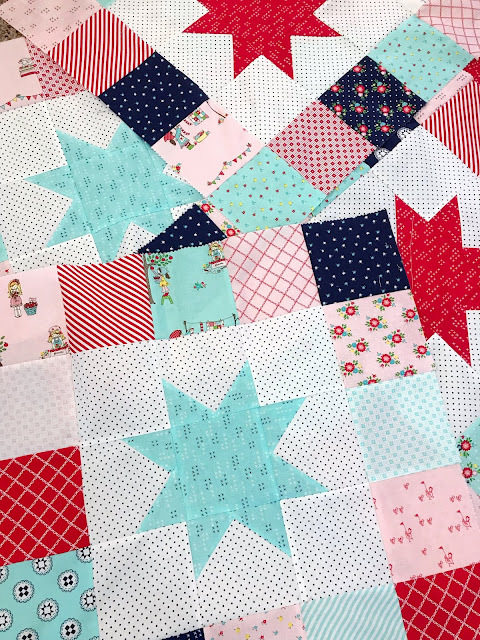 The blocks in this quilt work up so fast! The stars in the middle are very simple and this is where you can change up your quilt! 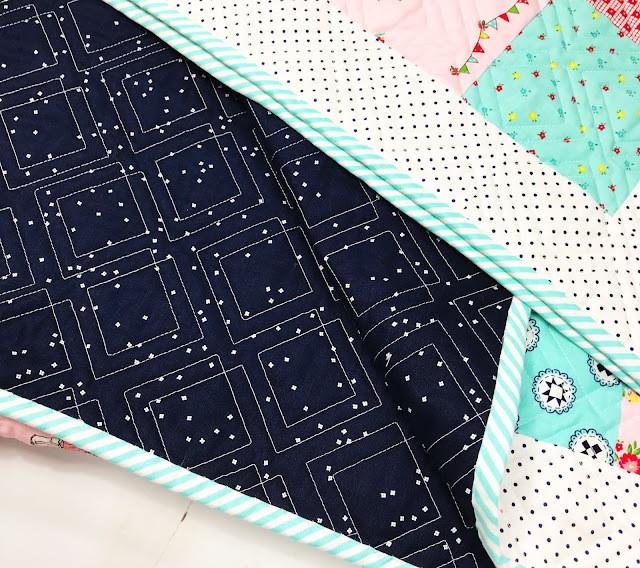 You can make every star the same, alternate colors, or go completely scrappy and do every star a different fabric. This quilt is a nice size and finishes at 78" square. You could easily make this smaller by doing 4 blocks, or make it bigger and do 16 blocks! For the quilting, I decided on Diagonal Plaid, it is one of my go-to patterns that I love to use! 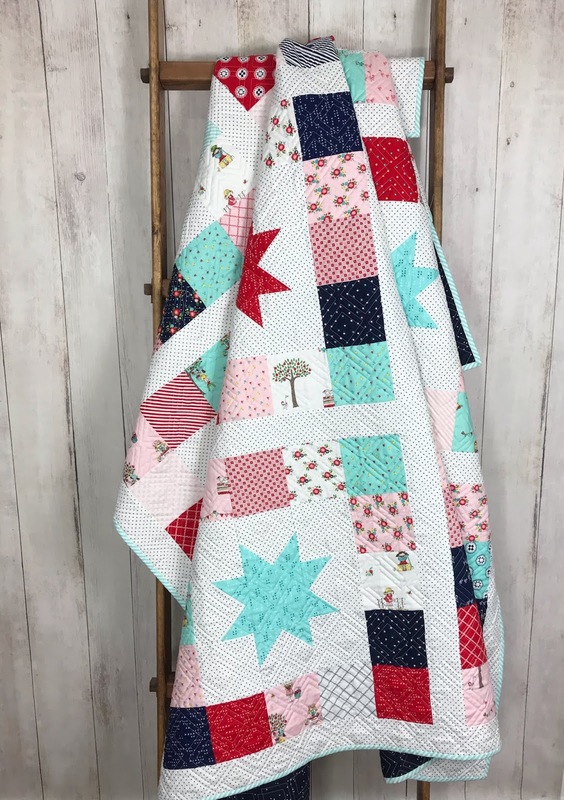 It adds such a fun texture to this quilt. 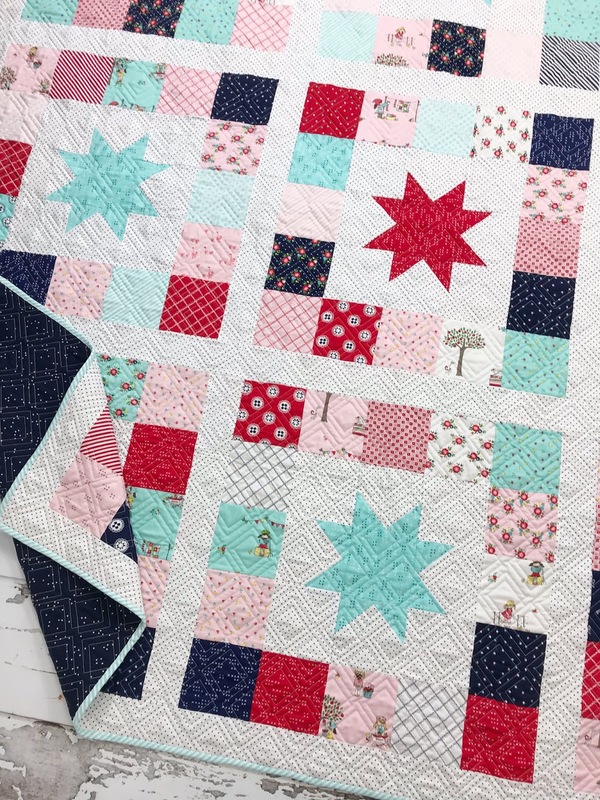 One of my favorite things about this quilt is that it is just a happy quilt! Those fabrics are so cute and really make my heart happy. I also love the fact that it is so simple, but really makes a statement! For backing, I used my new favorite Riley Blake Basic called Blossom by Christopher Thompson. This navy color matches perfectly with this line and I just love it so much! Be sure to follow The Riley Blake Blog and Instagram page for more Simple Goodness inspiration! It is a pretty quilt i can see Christmas and Americana fabrics and looks quick and easy- :) Thanks for sharing.